When installing Kaspersky Free, you may receive the error message “Installation files are not signed”. Malware can cause this error by installing anti-virus products’ certificates in the Untrusted Certificate repository. This prevents anti-virus programs from installing and launching. You will need to be an administrator to examine certificates in the local computer’s repository. Press Win + R combination on the keyboard to open the Run command. In the Run dialog box (Launch program in Windows XP), type mmc in the Open field. In the Add or Remove Snap-indialog box, select Certificates and click Add. In the Select Computer dialog box, click Finish. In the In the Console Root dialog box, expand the directory Certificates (local computer) and select Untrusted Certificates. In the Windows search bar enter uac and press Enter on the keyboard. The User Account Control Settings dialog box will then open. In the User Account Control Settings dialog box, move the toggle to the bottom of the bar and click ОК. Launch Kaspersky Virus Removal Tool and scan your computer..
After scanning, return the toggle in the User Account Control Settings dialog box to its previous position and click ОК. Make sure that the digital signature of the installer is genuine. If the digital signature is invalid or damaged, download the installer from the Kaspersky Lab website. Check the system date on your computer If the system date is wrong, correct it and try to activate Kaspersky Free once again. In the Run dialog box (Launch program in Windows XP), enter secpol.msc in the Open field. 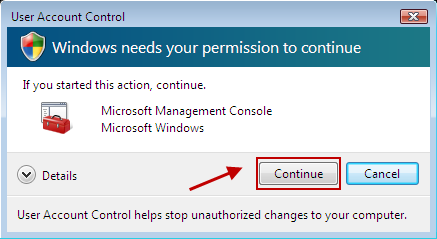 In the User Account Control window, click Continue (for Windows Vista). In the Local Security Policy window (Windows Vista) / Local Security Settings (Windows XP), select Software Restrictions Policies. Double-click the Trusted Publishers parameter in the right frame (if available). In the Trusted Publishers Properties window, select Define these policy settings. In the Trusted publisher management section, select Allow all administrators and users to manage user’s own Trusted Publishers. In the Trusted Publishers Properties window, select End users in the Allow the following users to select trusted publishers: section. In the Trusted Publishers Properties window, click OK.
Close the window Local Security Policy (Windows Vista) / Local Security Settings (Windows XP).